A simple yet efficient solution could not only make life easier for millions of refugees worldwide, but also reduce CO2 emissions by 6.85 million tons every year and save a lot of money in the long run: installing solar panels in camps. 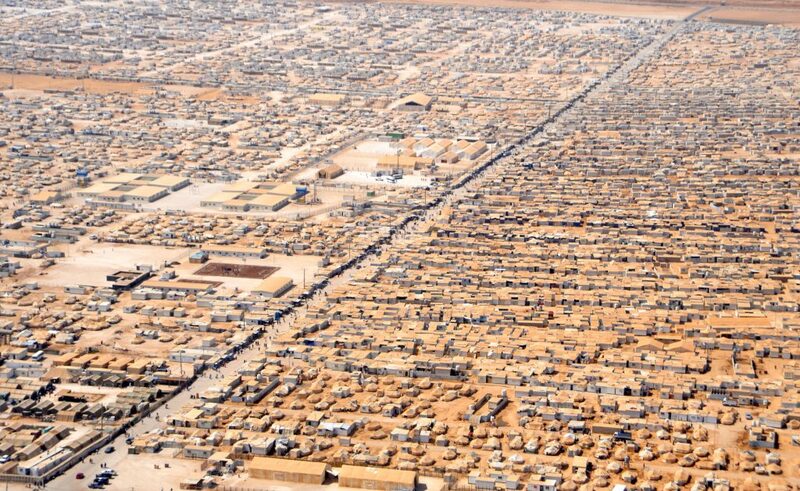 Aerial view of Zaatari Refugee Camp in Jordan. A consortium of think tanks and NGOs has released a report highlighting that the refugees’ energy needs have been largely ignored, with 90% of families having no access to electricity. The report also proposes solutions: cooking stoves and solar lanterns. According to the research, the widespread implementation of this basic technology, $323m a year could be saved in fuel costs, while also vastly improving the quality of life of the refugees and slashing CO2 emissions. For example, in Kenya, at the Dadaab camp, where 350,000 Somali refugees live, the $2.3m is spent every year on fuel, and families spend an average 24% of their income on energy, compared to less than 5% for developed countries. The solution seems quite evident – refugee camps tend to gather many people in one place, and there are many camps in areas with a lot of sun, but the problem is that this would be a long term solution requiring an initial investment, and humanitarian aid tends to focus on immediate problems. At the very least, solar lanterns would provide access to street lights, which are currently unavailable in most camps, encouraging crime and violence. When you consider that most people spend many years in these camps, this need seems even more pressing. Refugee camps are, by definition temporary, but if the average time spent in one is 17 years, that’s definitely enough to justify the investment.